Ken Kagami was born (1974) and presently lives and works in Tokyo. Kagami's past exhibitions include "comedie concrète", MISAKO & ROSEN, Tokyo (2015 Group exhibition), "Green", What Pipeline (organized by Puppies Puppies), Detroit (2015 Group exhibition), "Bronze works 2013-2014", MISAKO & ROSEN, Tokyo (2014 Solo exhibition), "The Future is Stupid", The Green Gallery, Milwaukee (2013), a two person exhibition together with Detroit based artist Scott Reeder, the solo exhibition "SPICY!!!" presented by Nadiff Gallery, Tokyo (2013) and "HELLOWIEN" Krinzinger Projekte, Vienna (2006). In 2015 Kagam ipresented a performance as part of the Live section of Frieze London; the performance drew an audience of more than 2000 visitors over the course of 4 days. 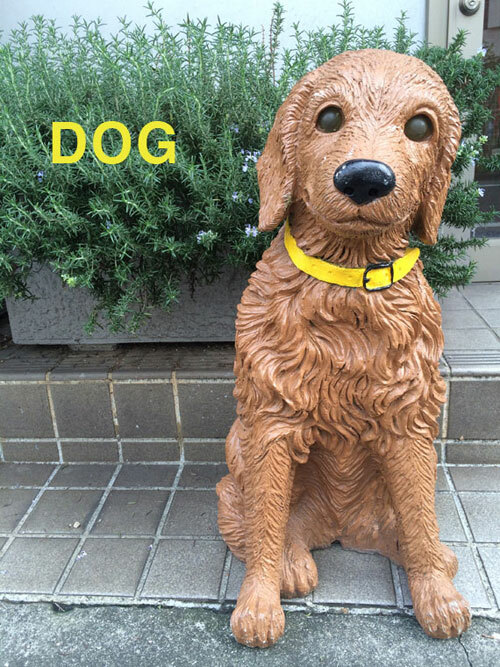 As titled, this exhibition is about "Dog(s)"; however in the exhibition viewers will not see an actual dog. By presenting the point of view of the family pet, Kagami will at the same time reveal the true feelings of dogs as well as his genuine affection for the animal. In present times, dogs are considered a member of the family. The dog as pet acts a s a healing member of the family and is meant to spend a peaceful lifetime together with its members. But, are the dogs that you see everywhere in Tokyo actually happy? Also, are dogs which are overly "styled" by humans really happy? Kagami will consider these questions with his usual sense of black humor. Celebrate the release of Ken Kagami's soft vinyl figure!